ASTROHN Technology Ltd is the leader in the field of developing and implantation of advanced technologies and innovations in Russia. By covering all of the company’s fields of activities innovations are providing stable technological superiority. 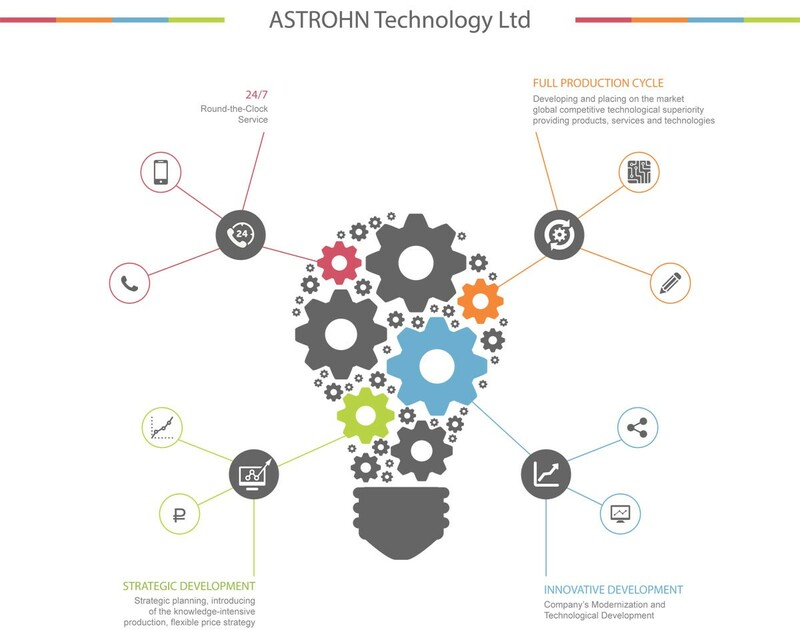 An active and consistent innovative development of ASTROHN Technology Ltd consists of constant development, improving and implementing the advanced technologies and equipment, adaptation to the field use of said technologies and equipment, improving management and control of business processes quality and continuous competence enhancing of its specialists. Basic directions and features of ASTROHN Technology Ltd’s innovation development are defined in the Innovation Development Program of the ASTROHN Technology Ltd for the period 2017-2020 and up to 2030. Developed international cooperation and interaction with Science Centers of Russian Academy of Sciences, Russian universities, small and medium-sized innovative enterprises is providing ASTROHN Technology Ltd with an active accumulation of scientific potential and also contribute to the overall maintenance and development of the innovation process. increasing the level of diversification of the company’s activities and growth of innovative military, dual-use and civilian production volumes. training the employees of the innovation and manufacturing units. Creation and placing on the market the global competitive innovative production, technological modernisation of industrial systems.